PS Magazine by Will Eisner is a gem that fans of Eisner will love. Will Eisner--best known for his influential comic book series "The Spirit "and his groundbreaking graphic novel "A Contract with God"--believed in the teaching power of comics, and from 1951 to 1971 he produced "PS "magazine for the U.S. Army. 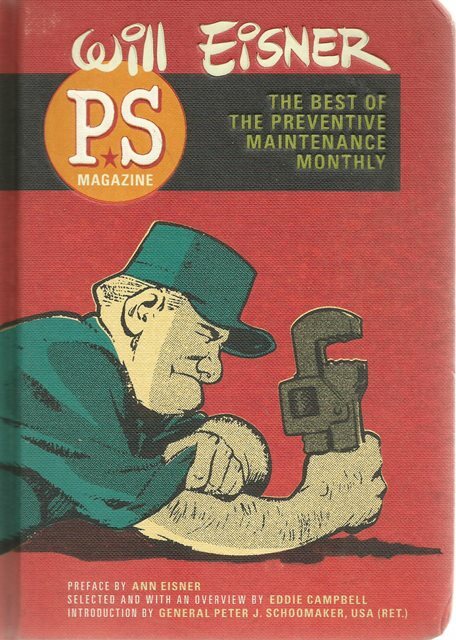 This "Preventive Maintenance Monthly "(called "PS "because it was a postscript to the standard technical manuals) was aimed at teaching American soldiers everything about weapons safety for vehicles, aircraft, firearms, and electronics. 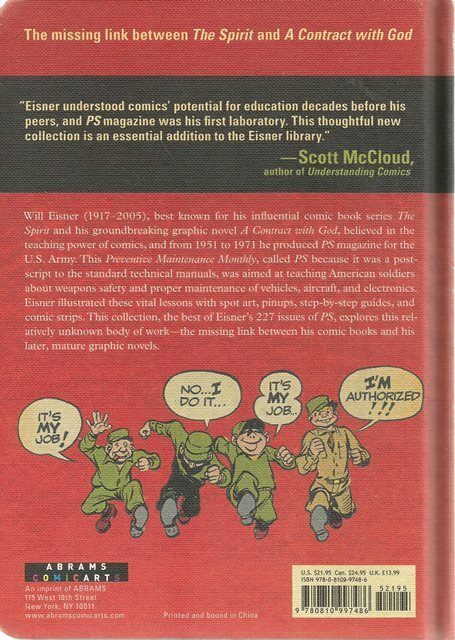 Eisner illustrated these vital lessons in drawings, pinups, step-by-step guides, and comic strips. This collection contains the best of Eisner's 227 issues of "PS," reproduced in a portable digest format. This relatively unknown work by Eisner is finally explored--the missing link between his comic books and his later, more mature graphic novel style.